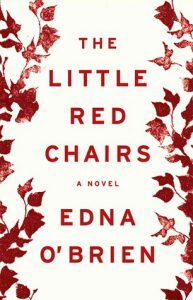 I’m reading ‘Little Red Chairs’ by Edna O’Brien, which Sebastian read and recommended. I picked it up for a tenner in Books Upstairs, and it’s proving every cent of a bargain. My best read, so far in 2017, was ‘We have Always Lived in the Castle’ by Shirley Jackson. She was such a brilliant writer and her work never fails to give you a punch in the stomach, when you least expect it. This book was sad and gripping, with a bit of nostalgia (for me) thrown in. 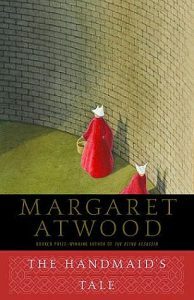 I’m reading ‘The Handmaid’s Tale’ by Margaret Atwood. My interest in this 1985 novel was sparked by the announcement of a forthcoming television series based on the book starring Mad Men actress Elizabeth Moss. The story is set in a dystopian future where the United States government has been overthrown by a totalitarian theocracy. It follows a young woman, Offred, as she navigates her way through the new and strange daily rituals of a misogynistic society where women have been completely stripped of freedom and control over their bodies and minds. This story is thought-provoking, powerful and unfortunately quite relevant in 2017. Three quarters of the way through, I’m completed gripped, and excited for the upcoming series! They say your favourite books are the ones you most frequently buy as presents for friends, so by that rational, I would have to say my current go-to literary gifts are Kevin Barry’s ‘There are Little Kingdoms’, Zadie Smith’s ‘White Teeth’ and Junot Diaz’s ‘The Brief Wondrous Life of Oscar Wao’. Barry’s first offering – which was released a decade ago – is a wonderfully imaginative and emotionally resonant collection that shook up Irish fiction when it first landed, providing one of the first ripples in what has become an exciting new wave of Irish writing. 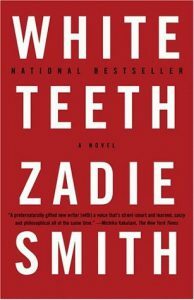 Smith and Diaz have a lot of parallels in that much of their work touches on multiculturalism and post colonialism, but what really interests me about them is that they are thoroughly modern, irreverent and true to life. 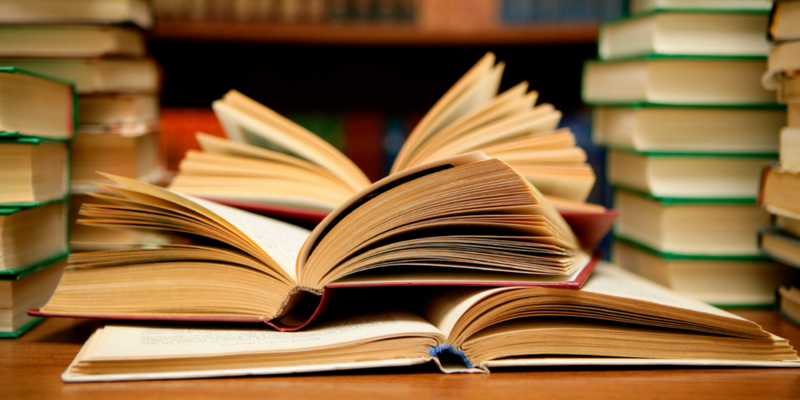 While the worlds they create are ambitious, sprawling and detailed, they are also always extremely readable and unconcerned with some of the usual literary hang ups and pretensions that bog down other novelists. One of my favourite weekend activities is perusing the Irish fiction section upstairs in Chapters, where the second-hand (or pre-loved) books live. 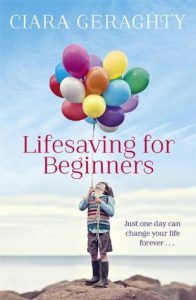 That’s where I stumbled across ‘Lifesaving for Beginners’ by Ciara Geraghty. Despite what the title might suggest, this is not a medical or instructional book. Rather, it is powerful story of family, grief, secrets and hope in the aftermath of a car accident. It is told through two very different perspectives – that of nine year old boy from Brighton and a 39 year old woman from Dublin, in alternate chapters. This book completely drew me in and had me thinking about it long after I finished the last page. 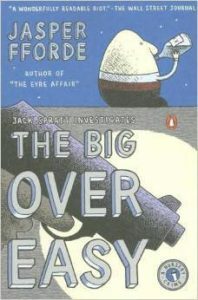 I am reading The Big Over Easy by Jasper Fforde. Inspector Jack Spratt of the Nursery Crime Division is called in to investigate when Reading’s most famous ovoid resident Mr Humpty Dumpty is found dead, smashed to pieces, at the bottom of one of his favourite walls. Was it murder, a tragic accident, or did Mr Dumpty die by suicide? Jack Spratt and his new partner, Sergeant Mary Mary (some would say quite contrary) are on the case, digging through Dumpty’s sordid past and revealing a side of the world’s favourite nursery rhyme characters never seen before – Old Mother Hubbard, the Billy Goats Gruff and the three little pigs all make an appearance. A wonderful satirical look at the detective genre, ‘The Big Over Easy’ is a fun and readable read. 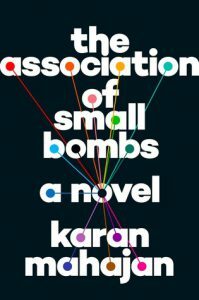 ‘The Association of Small Bombs’ centres on the 1996 bombing of the Lajpat Nagar market in Delhi, “a bomb of small consequences,” in which thirteen died and thirty were injured. Among the dead are two school boys, the only children of Vikas and Deepa Khurana, a documentary filmmaker and his wife. They had been dispatched to the market on an errand by their father, along with their Muslim friend Mansoor, who survives the attack, bearing the physical and psychological effects of the bomb. In the following chapters, the novel follows a number of people who have been touched by the attack in one way or another and unravels the effects this is having on their lives: the Khuranas, Mansoor’s parents, the Kashmiri bomber responsible for the attack and his collaborators, and Ayub, a young activist whose beliefs turn out to be more malleable than they appear at first glance. I liked the novel because it offers an interesting perspective on terror and its repercussions on the lives of people who get caught in its net. Mahajan also explores the political unrest in contemporary India, which has been ticking on a timer over decades, and shines a light on how easily victims of terror can become perpetrators of terrorism. ‘The Association of Small Bombs’ has opened up a new perspective on terrorism for me, and I expect it will keep me thinking about it for a while. 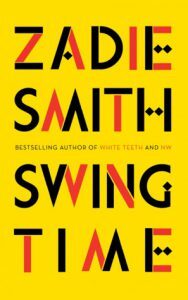 I’ve just finished reading Swing Time by Zadie Smith – a book club choice, which I’m looking forward to discussing tonight at our meeting! The novel, although distinct from her other work, explores similar social issues including race, identity and multiculturalism. ‘Swing Time’ tells the story of a woman, the child of a black mother and a white father, born and raised in 70s and 80s working class North London. We meet the narrator in present-day (2008) when she has been fired from her job as a PA for a Madonna-type international popstar and the story then unfolds in a series of shifts (or swings) in time, from the distant past (her childhood and university days) to the not so distant past. The theme of dance runs throughout, indeed the title is a Fred Astaire movie which the narrator watches at the beginning of the novel. 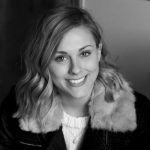 Throughout the novel, it is difficult to really see who the narrator is, as we experience her life through the stories of others, as a ‘shadow’ – perhaps why she was left nameless by the author. Smith has said that her writing style is not plot-based but about “people, just living their lives”. Her writing is beautiful, and her observations and turns of phrase in ‘Swing Time’ really kept the pages turning for me – I would highly recommend.